“Our democracy is strongest when we have open, transparent and accountable government at all levels – municipal, provincial and federal. Transparent government should not depend on where you live in Ontario. Today’s Ombudsman report on “Sunshine Law” investigations of closed meeting shows that governments have more to do in order to ensure that the default is openness and transparency, rather than closed doors. It is disturbing that the Ombudsman’s office received 119 complaints in 2011 and 2012 about closed door municipal meetings and found 45 violations of the Sunshine Law. This is unacceptable. 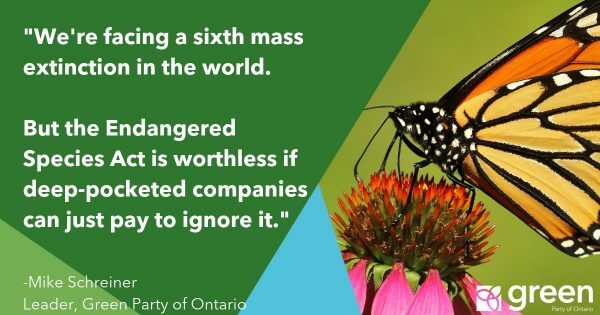 Ontario can and must do better. The provincial government must use this report to review the Municipal Act to ensure that all municipal governments are meeting the basic democratic requirements of open and transparent meetings and public decision making. We need consistent policies for municipalities across the province. Consequences should exist for meetings held behind closed doors.